For further details on the following planning applications and associated appeals around Meadow Avenue and Waggs Road please contact the SLATE Action Group via: Victoria Marchant on 07961 363805 or victoria.c.marchant@gmail.com. 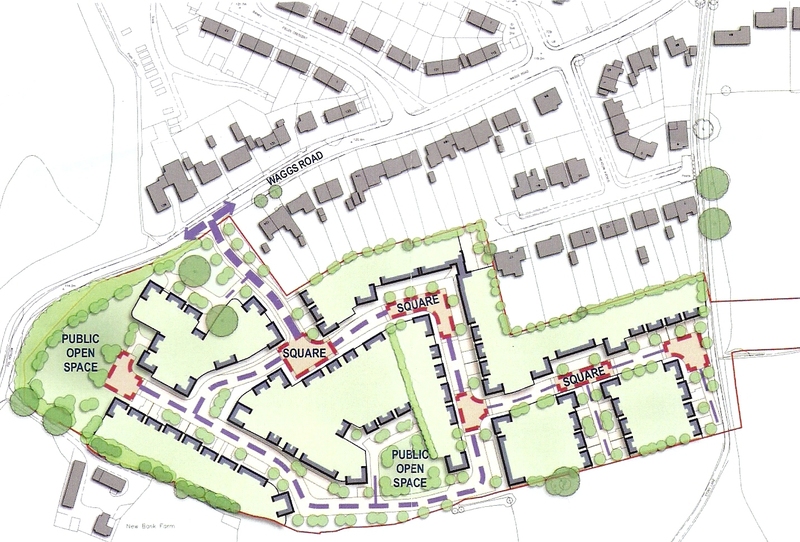 Bellway Homes submitted a full planning application 13/3764C to build 104 dwellings off Waggs Road, see below for details of the original proposal for 300 homes off Waggs Road. The application was refused on 10th December 2014. However, Bellway Homes has submitted an appeal APP/R0660/A/14/2214018 against this decision. The appeal inquiry started on 14th October 2014 and is now complete. On 15th December 2014 the Inspector hearing the Bellway Homes appeal reached her decision and has DISMISSED the appeal primarily on the grounds of highway safety. Full details of her decision can be viewed here. A further planning application 13/4781C was submitted for 14 houses on land off Meadow Avenue. The application was APPROVED, subject to Section 106 agreement, by the Strategic Planning Board on 8th January 2014 – the application was subject to a very contentious debate at the planning meeting. This application appears to be identical (other than for minor details) to the original application 12/3536C that was refused and subsequently appealed, although the appeal has now been withdrawn. In conjunction with the Appeal off Canal Road being ALLOWED this has now left the developers with a “front and back door” to the south of Congleton, close to Astbury village. 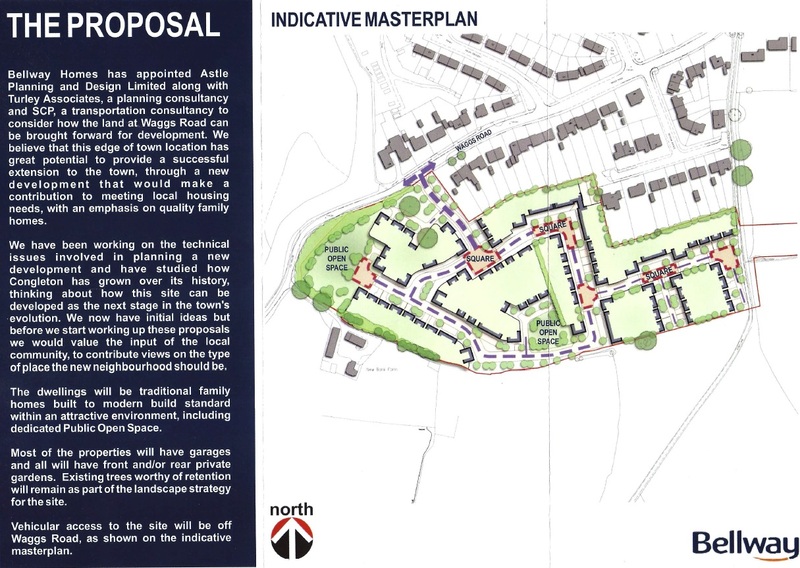 As was expected the original 14 dwelling planning application for Meadow Avenue is to be the gateway for a much larger, up to 300 houses, development on the land off Waggs Road / Fol Hollow. A proposal from Bellway (the developer) to build a substantial development in this area was the subject of a Public Consultation on Wednesday 19th June at the Trinity Methodist Church, Wagg Street, Congleton CW12 4BA. Bellway was due to present further information at the Congleton Town Council planning meeting on 5th September but failed to show at the meeting. The links show Bellway’s proposals: Proposal Site Plan. The Meadow Avenue (Priesty Fields) planning application, 12/3536C, for 14 dwellings was refused by the Strategic Planning Board at their planning meeting on Wednesday 9th January but the developer has since appealed the decision. This Appeal was withdrawn as the subsequent application 13/4781C was approved!